Mog Madness: The Final Round! Who: Missescake, Cymre, Reluctant Raider, Kamalia, Tolbi. How: Send an e-mail with your screenshot(s) to arcanewordsmith@gmail.com or post your entry on the Mog Madness page of Amateur Azerothian, Tome of the Ancients, or Effraeti’s RP. Mog Requirement: For the finals, contestants must create an “Anti-Paladin of the Old God.” To elaborate, your outfit can include anything for a Paladin or Death Knight. You must also choose whether your entry is an Anti-Paladin for C’thun or for Yogg-Saron (Judge’s tip…avoid looking anything like Twilight Cultists). 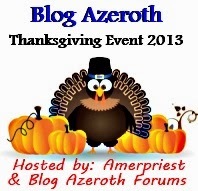 ← Mog Madness: Round Four Results! So perhaps it is time to mention the first prize? Cat’s out of the bag. mwa haha! Thing is, a couple of the submissions last round made me think “Anti-Paladin” but I didn’t want to say it what with what the finals was going to be. I did, in fact, end up keeping the piece I had in mind to start with. Nothing else I tried was quite so good. 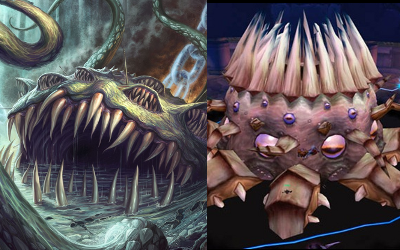 BTW, there is AT LEAST one more Old God, N’Zoth, the Drowned God. Speculation is of N’zoth sleeping near the underwater Naga city, possibly named Ny’alotha. It is also speculated there are five Old Gods… two of which have yet to be named or alluded to. I am one with said knowledge as well. 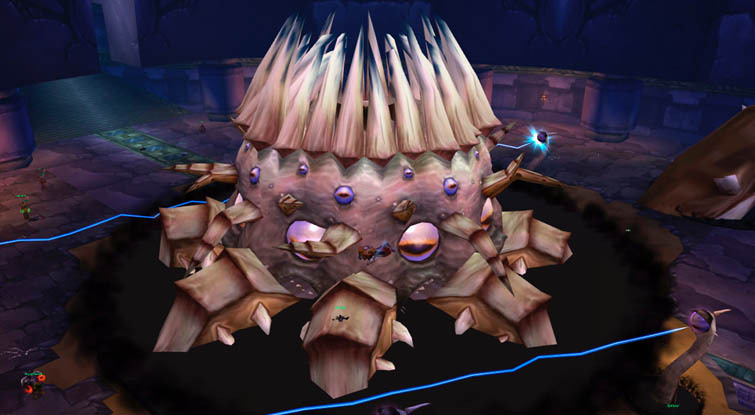 Thought we’d keep it to the ones that have “surfaced” in Azeroth. Ooh there’s a first prize? I’m not sure where I’m going either although I do have a couple of pieces in mind I intend on using… I coud go either way really. Now this! This is a theme, a genius idea, a marvelous magnificent maddening theme! Time to begin! Simply due to the basic principle of the Anti-Paladin. I know, I know…no Warriors here, Warriors losing “stance dance.” It’s a rough week for the class. Seriously, though, I figured the Paladin component was straight forward and then added the DK as they fit the idea somewhat as well. I just didn’t feel Warriors fit the archetype. Otherwise I’m glad you approve. Can you enter even if you haven’t been in any of the previous rounds? You can share an outfit based on the round’s guildelines. However the full contest was an elimination process. These are the final five from our original twenty six. You can share an “if I had been entered” outfit. I’ve referred to it previously as Mog Madness: The Home Game. Fully encouraged! One option might be to have individual rounds open to anyone, and then a final round that pits the previous winners against each other with a poll for fan voting. That’s an option down the road as well. As for your friends, make sure they keep their eyes peeled. The first time around was done with little notice and I think it’s only because of WoW Insider that we got noticed early on. THEN, word of mouth got people following. I’m making sure people are checking in here often now because I finally tipped off the current co-judges to the basis and I think even they’re already excited! WoW Insider is definitely how I heard of it! Oooh I can’t wait to see who wins! This is so exciting! It’s true. I came up with the Anti-Paladin of the Old God, but it wasn’t until I posted the final round rules that I realized the Madness link. Pure coincidence. Well, I know I was eliminated last round…but I just wanted to make an outfit based on this idea. What can I say…it’s an addiction! 😛 I did it based off C’Thun and his color scheme in him and his environment…looking suitabley evil of course! Good luk to all the actual contestants! That’s very, very frightening. Well-done! Okay. I have no idea what I’m doing, but here is my entry!